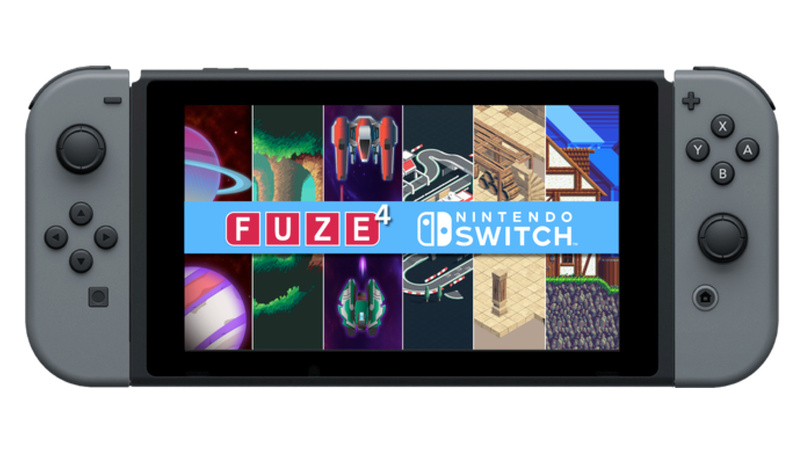 FUZE Technologies Ltd has revealed that its upcoming FUZE4 Nintendo Switch platform will be officially launching on the console in April next year. 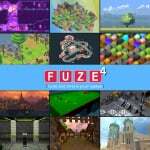 It's been quite a while since we last heard about FUZE4 Nintendo Switch - we actually received our last batch of information in January - but the team behind the tool has been working solidly around the clock to produce an environment which they hope "is easy to use and accessible to all". The software is said to be reminiscent of original BASIC, but revitalised and redesigned to align itself with modern coding languages like Python, Java, and C++. It has been designed with simple and intuitive commands to give beginners an easy route in, while also being powerful enough to write "stunning quality games and apps" in both 2D and 3D. If you're wanting to really learn about the ins and outs of game coding, this could be a great opportunity to spruce up your programming ability. It comes with thousands of visual game assets (such as furniture, castles, and character designs), and hundreds of music tracks and sound effects so that you can create a variety of projects of different genres. There's also an image editor, which allows the creation of your own graphics; a tilesheet editor, which makes the creation of platform levels and interactive backgrounds easier; and you can even write your own music and sound effects by using code. If you like the sound of this but feel intimidated at the very thought of getting started, you'll be happy to know that there are over 20 tutorials provided, alongside breakdowns and explanations of classic game designs. The software will retail for £29.99 when it launches on April 1st (and no, this isn't an early April Fool's joke!). Do you like the sound of this? Would you like to learn how to code your own games? Feel fee to share your thoughts on this one in the comments below. I've been using Unity a while and now I'm learning Godot Making games is fun. @TeslaChippie Good to hear! I'm at Uni so I have to learn the 'practical' languages like Java, SQL etc. I prefer UE4 to Unity but they're both great. This sounds fun, but I’m gonna go for Dreams on PS4 instead. Eh, in Physical retail ?! I'm interested in this as well. I've been learning python but slowly stopped because I have other classes for the other software programs (java, c++, etc.). This could be a nice way to learn unity! Hmmm, another builder to consider for Pre-Order Peril: Sean’s Lament. So basically it offers you a basic template of pre-made gaming content and you can kind of glue it together to make a new game out of it? Man, they should have payed for licensing and made it EA Dev Simulator 2019. How about SmileBasic? Any recent news on that? I backed this for £15 since it was first announced. I am actually glad that it was delayed because otherwise it would be competing with Pokémon and Smash for game time. If anyone else is interested in "pre-ordered" you can donate at the below link for £20. Sounds interesting, it's neat that it comes with an image editor but does it let you import assets somehow? I've dabbled in game development and I'd rather use tools I already know how to use to make my graphics and sounds. This looks awesome. I've tried out the 3DS version of RPG Maker Fes recently and was disappointed in its restricted creative options, couldn't quite scratch the creative itch. The inclusion of a Basic-like code editor with aspects of C++ and an image editor for custom assets will make a world of difference in enhancing how creative you can get! For anyone potentially daunted by the mention of coding in the article, the mention of similarities to the Visual Basic language is a good thing. While it is technically a dead language today, VB is very simple, easy to learn and straightforward to grasp — writing in Basic is as easy as naming an object or function, defining it, and giving it things to do, and many issues you encounter have answers available online at great resources like Stack Exchange. I learned VB in a month between calls working in a call center, it's very easy and nowhere near as convoluted as comparatively more bloated languages like Java. @NEStalgia I mean, it says you can create your own images and music as well, but having a bunch of premade images and sounds makes it easier for people who aren’t as skilled in those areas, especially since this isn’t marketed to the average game designer. @NEStalgia also, given the programming aspect you have a lot of freedom for innovation. I don’t know what more you would need outside of actual professional software that requires a decent computer. The Windows edition is available to try out from the FUZE.co.uk site. How easy is this for kids? My son really wants to start to learn coding and how to make games. He recently got one of those Kano Harry Potter coding wands & really enjoys it. Stuff like this is so cool to have on the Switch, even if it isn't something I'd personally use. We need a Super Mario Maker sequel/port! @Majora101 Yeah I think it’s great to offer. I learned VB 15 years ago as a hobby but life changed. Now I build Crystal reports in a healthcare field all the time at work and I’m glad I learned Basic commands early on haha. Between this and the simple skills to learn in the Labo Garage modes, we might get some more innovation going from an earlier age! @Whalehome Yes but dreams has no release date of yet its just 2018 tbc. And it more than likely be out in 2019 plus this is cheaper than dreams which will be a full price release. And it looks like you can do a lot for the money this game costs, you could always get them both!. But its up to you just don't hold your breath on dreams it has been in the works for years now. I wonder if it will be released physical ??? I spoke with a game artist from Activision the other day when he was at my local public library for their Comic-Con event, and I told him how I wanted to get into game design. I asked him if he could recommend any good schools, and he told me that the best way to probably go is to be self-taught, so I wouldn't waste my hard-earned money on a degree that would probably be useless if I can't make it in the industry. This app seems like it could really help me out with teaching myself how to code, program, and design games, without needing a formal education. I might just have to keep this on my radar when it comes out. I will make a Youtube app for everyone. Please support my kickstarter. Will there be a way to download and play other people's creations or what? Interesting. Perhaps I could use it to make a 3D platformer of some sort... maybe even the mythical SA3? @Jayenkai just out of curiosity where is that y axis is not the vertical one? Wonder if you can create a web-browser on this, then you can get Netflix/youtube etc. Then it draws a rectangle from the bottom left corner. In ALL the BASIC languages I've used (And I've used a LOT of them!) It would be drawn from the top left. Is that (x1, y1, x2, y2), or something else? As if it is, then wouldn’t RECT (10, 100, 100, 10) draw from top left? Little Brother won't stop telling me how much he wants this game. We will be launching as a download initially. If things take of then i'm sure a physical release will follow. So far we have created driving games, platformers, 3D puzzlers (check i Robot by Atari - i'm afraid i love my retro games! and arcade shooter demo, various 3D world type demos and so on. Game limits are more likely to be down to performance rather than technical ability - Breath of the Wild, no! Mario 64 with higher quality graphics, very likely indeed. Just about anything in 2D should be achievable. We're including a lot of gaming content - I think it is safe to say, more than any other product of its kind on any platform. You can create your own unique sprites and tilemaps so if you want to create something 100% unique you can. You can create your own sound effects and music - we also include hundreds of backing tracks, jingles and sound effects. You can code using a standard USB keyboard on FUZE 4 Nintendo Switch. It really is plug-in-and-play. I personally prefer using the touch screen as I love to code in bed! (You do not require a Nintendo licensed keyboard. We will be releasing DLC packs with additional content - possibly branded by third party graphics too - We will beg Nintendo for some early Mario and Zelda sprites - that would be sooo cool! A little about the language. Firstly this is nothing like Scratch or any other 'drag and drop' coding environment - there's nothing wrong with them it is quite simply that we focus on making learning to code as accessible as possible using a real, text based coding. This is therefore far more powerful and flexible than most visual coding tools. Text based coding can seem a bit scary at first - especially if you start with something like Python, Java or C etc. again, there's nothing wrong with any of these but they can appear over complex to anyone other than the most ardent students. FUZE4 Nintendo Switch however, is a text based language that uses bespoke commands for advanced functions like image (sprite) handling and 3D model manipulation rather than needing to import libraries or external functions. When making comparisons to FUZE, think AMOS (Commodore Amiga) - STOS (Atari ST), Blitz, DarkBASIC, DIV Games and so on. FUZE is similar in that you have common sense commands for most advanced techniques but you are still required to program to put it all together. FUZE comes with plenty of learning materials in the form of worksheets, tutorials and a very comprehensive reference guide. You can even share projects between your Nintendo friends. At a later date new versions will be able to export to Windows and any other FUZE platform (Android, iOS, ???). So it's not unrealistic I could make a clone of Legend of Zelda: ALTTP ??? teamFUZE here. Yes you can definitely make games at this level and far beyond. There are enough gaming assets to support this directly but if you wanted to make your own then you can use the image / sprite editor to make it totally unique. @teamFUZE Been a few months since this article was made and you posting in it, but if you're still around, I'd like ask a few things regarding FUZE on Switch. Graphically, what kind of images can we use for tilecrls and textures? Will they be straight color images only, or will it support things like indexed images with CLUTs (Color Look-Up Table) in the kind of way the retro systems used to allow per-index color animation to sprites and tiles? Think of Megaman with different color schemes without having to have different spritecels for each one, just a change to the CLUT it uses. I see mentioned that we can make/utilize tilemaps, but can we manipulate how those are displayed, like rotation/scale, and even change tilemap coordinates and affine dimensions to create effects like wavy backgrounds per pixel row or even Mode7-like effects (without having to rely on 3D polygons)? In what way could we create our own custom music/sfx? Will we have something like MML (Music Macro Language), but expanded to add our own complex samples, rather than simply streaming them? I'm a fan of the NES/SNES/GBA era (I used Petit Computer a lot back in the day, but not SmileBASIC because of lack of features PTC had) so a lot of what I think up pertains to being able to do what was done back then and more, though with being able to make 3D games of higher quality than even Mario64, I'm already think of something along that line too. One last thing. Sharing. We see that we can share with people on our friend list, but what about hosting our projects externally for anyone to download? Will that be an option? Hi there Stew we've got back to you on our page but I'll answer a couple more things here which you've mentioned. Manipulation of assets, creating mode-7 effects and the like you'll be absolutely able to achieve! You will be able to write code which controls various aspects of the synthesizer, so creating sound effects will be very easy indeed, but creating and composing complex music is not what we're focusing on. Sharing at the moment is restricted to friends only, and we plan to keep it this way for time being due to simplicity. Sorry that I cannot go into great detail on all of your questions. Very glad for your enthusiasm! @FUZE4Switch Good to hear. Perhaps "complex" music was a bit overboard. Just wondering if it would be something like MML, but allowing the utilization of samples beyond those that are supplied in the app (like in WAV format). That is another thing I should have asked. Will we be able to load any external assets, or is everything self-contained? Either way, I've already donated towards the cause. Too bad we don't have a Reference Guide geared towards the Switch version right now. I like looking at those things to help get the creative juiced flowing.